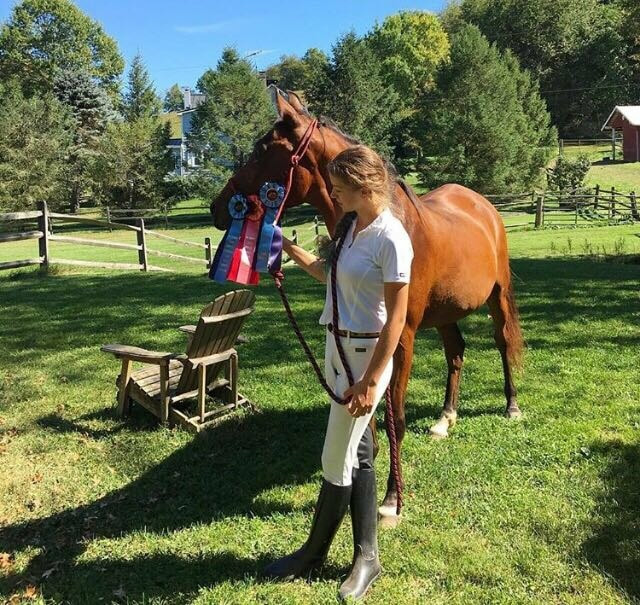 Three unique awards were offered in memory of three very special horses for Frederick Area Dressage Shows (FADS) dressage shows held during the spring and summer of 2017. Stephanie Ruff Corum, of SC Equine Enterprises, sponsored the awards in memory of three horses she had the honor and privilege of knowing for many years. They were special creatures that represented themselves well and deserved to be remembered. Winners in each division were selected based on the highest average score in at least four classes judged by at least two judges during the spring and summer show season. The Cowboy Charisma Award - Cowboy Charisma was an Appendix Quarter Horse mare owned by Stephanie Corum. Charisma loved the spotlight of being the only one in the dressage ring and was very successful through first level before her untimely passing. However, as a mare, she did pose challenges for her rider. The purpose of this award is to acknowledge the partnership that must exist between mare and rider for the combination to be successful. This award went to Leslie Raulin and her KWPN mare Zendola Fortuna, otherwise known as “Zen.” They competed at training level. Zen spent her first career as an upper level jumper, competing in the Netherlands and on the Florida A Jumper Circuit. 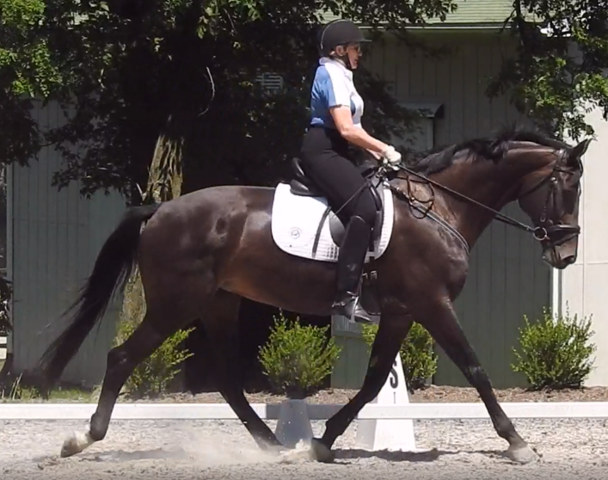 Leslie purchased Zen in October, 2016 and started her on a new career as a dressage horse. Zen came with a lovely auto flying change but no 20m circle. They have been schooling lower level dressage movements and hope to some day use the flying change in the show arena. This award went to Jennifer Lupkin and WS Shenandoah's Pride. More information to follow. This award went to Liuda Galinaitis and Serge. Liuda bought Serge in 2010 and they have partnered in dressage, hunters, fun and game shows, trail rides and most recently jumpers. In 2016 at age 20, Serge also debuted in lead-line classes! Pennsylvania-bred, Serge is a grandson of Alydar who was thrice runner-up to Triple Crown winner Affirmed. (His sire was Verge so you can see how he got named.) Serge raced 11 times with 2 wins at ages 2 and 3, earning over $19,000. He also participated in Pimlico's charity fund-raiser Canter for the Cause where he definitely and very excitedly remembered racing years ago in the last race on Preakness Day in 1999!. Stephanie Ruff Corum, now of Florida, is a freelance writer and horse lover. 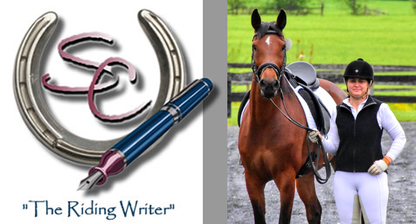 She writes magazine articles, online content, and blogs about her horse experiences at www.theridingwriter.wordpress.com. She also is the author of two illustrated children’s books, “Goats with Coats” and “Antics in the Attic” and is the publisher and editor of Arabian Finish Line magazine. Learn more about her at www.theridingwriter.com.